Tony La Viña blinks when I ask him about the world his children will live in. He is a veteran negotiator of 17 of the 20 global summits on climate change. He knows only too well that his native Philippines is running out of time: that typhoons like Hagupit, which battered the archipelago a few weeks ago, will return more frequently and with a greater vengeance; and that it is probable that his favorite island, Camiguin, will disappear under the sea before the end of the century. He also knows that what unites us is that we live in some of the countries most vulnerable to climate change, where there is no more time to lose. I met Tony at the recently concluded climate change negotiations in Lima. He was leading a group of vulnerable countries and was determined to reframe the issue of climate change, from a North-South dispute to a human rights emergency. 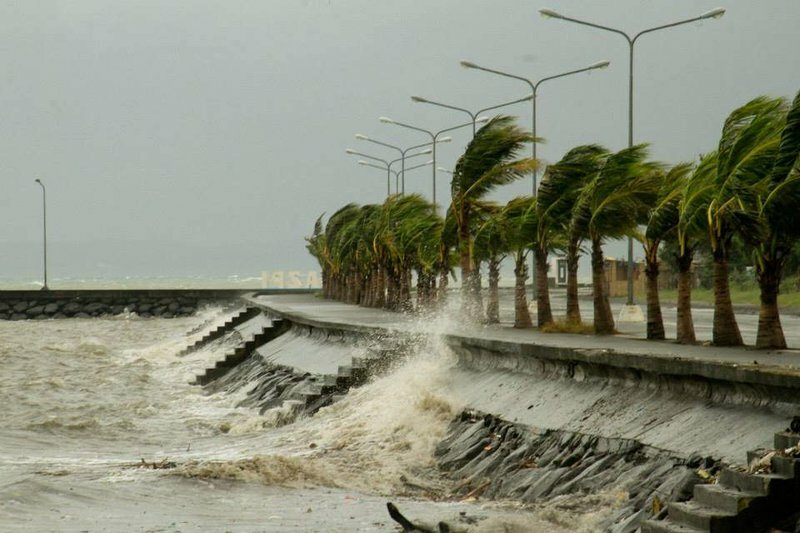 Typhoon Hagupit batters the Filipino coast. Due to the effects of climate change, the Philippines are expecting severe typhoons like Hagupit to increase in severity and frequency in the near future. The agreement that was hastily prepared in Lima (and which is expected to be finalized in Paris in December 2015) is too little, too late. It is unlikely to avoid two critical numbers: two degrees and the sixth extinction. The two degrees celsius limit is the point that scientists and the international community set in 2009 in Copenhagen as the tolerable, upper limit of warming. The sixth extinction refers to the fate of thousands of species due to climate change: coral reefs turning into inert sponges because of the acidification of the oceans, amphibious species dying around the globe. Recent reports from the Intergovernmental Panel on Climate Change show that unless we achieve drastic carbon emission reductions in the short term, humanity will pass those thresholds in the coming decades, probably in the second half of the century. It is now clear, however, that a treaty imposing these drastic cuts will not result from the negotiations in Lima and Paris. Although they are a notable improvement, the reductions promised by the United States and China, in addition to those that the rest of the 194 countries should be announcing in the following months, will be far from those scientists have recommended. Perhaps the most lasting lesson that those of us who participated in the Lima conference learned is that it is increasingly difficult to achieve ambitious, binding treaties. Perhaps the most lasting lesson that those of us who participated in the Lima conference learned is that it is increasingly difficult to achieve ambitious, binding treaties. The traditional way of making international law involves treaties with hard and homogenous laws. The 1997 Kyoto Protocol falls within this model, as it imposes on rich countries, which are historically responsible for climate change, fixed obligations to reduce carbon emissions. Thus, the Kyoto Protocol follows in the footsteps of other treaties passed in the second half of the 20th century, culminating in the Rome Statute establishing the International Criminal Court. The historical achievements of this model are notable. In a profoundly unequal world, the model attempts to bind powerful countries to the same rules as weaker countries. In a world marked by serious human rights violations, it seeks to establish universal jurisdiction from which perpetrators cannot escape. But its limitations are also evident. Treaties take decades of negotiations and their application depends on bodies such as the UN, which have limited budgets and powers. Treaty standards can also be too rigid, as is the case with the excessively punitive interpretation of transitional justice that could turn the International Criminal Court into an obstacle to peace processes (for example, in Colombia). And the relevance of the model has traditionally depended on the will of a small group of countries (the United States and Europe) with the capacity to promote agreements and guarantee their application through force (frequently in exchange for their own exemption from the resulting obligations). This geopolitical reality has changed; this was clear at the Lima conference. The Kyoto model is losing ground, as the United States and Europe no longer have the power to impose a treaty without also complying with it. Further, a treaty is useless without the participation of China, India, or Brazil, the new emerging and polluting powers. More than a global regulatory apparatus, the Lima agreement is a collection of public and specific national promises to reduce emissions. Its weakness is it lacks a global body that guarantees its application. Its strength is facilitating the participation and pressure of national actors, including environmental movements, local governments and corporations, in the implementation of such goals. It wasn’t hard to leave Lima with a feeling of failure. I told Tony La Viña that a soft-law agreement seems insignificant compared to the calamitous prospect of climate change. But he, an irredeemable optimist who has survived two decades of failed negotiations, reminds me that never before have governments committed to proposing and publishing precise goals regarding emission reductions. When they do so, the initiative no longer belongs only to nation-states. Communities, social organizations, companies, media, and citizens, can now pressure their governments to meet these goals, and even promote their own projects that contribute to achieving those goals. In the absence of a top-down global treaty, change will have to come from the bottom up. He is right: there is hope, and much to do. But when we say goodbye, I wonder what I would do if I had children and was asked about the world that awaited them when they reach my age. I would follow the example of Ralph Keeling, a leading scientist in atmospheric carbon measures. "When I go see things with my children," he said, "I let them know they might not be around when they’re older. Go enjoy these beautiful forests before they disappear. Go enjoy the glaciers in these parks because they won’t be around. It’s basically taking note of what we have, and appreciating it, and saying goodbye to it."